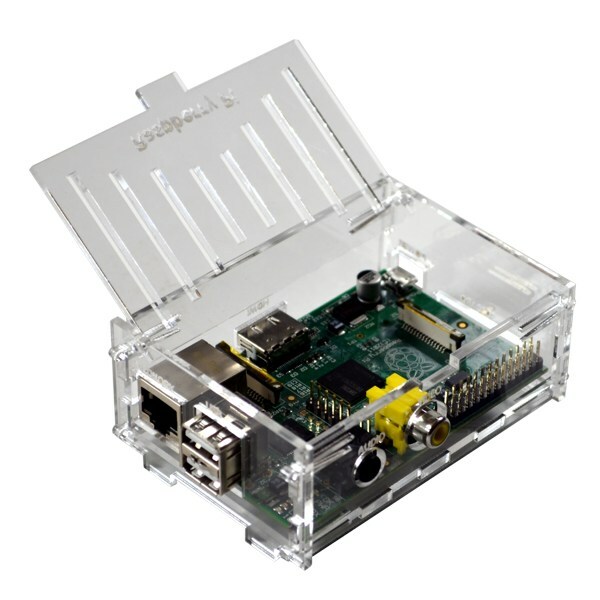 The Banana Robotics Transparent Raspberry Pi Box is a nice see through case that protects your Pi while still allowing you to see your cool Raspberry Pi board. It's made from crystal clear acrylic that has been laser cut using a unique Banana Robotics design that snaps together easily. A swing open door provides full access to the Pi microcontroller board.